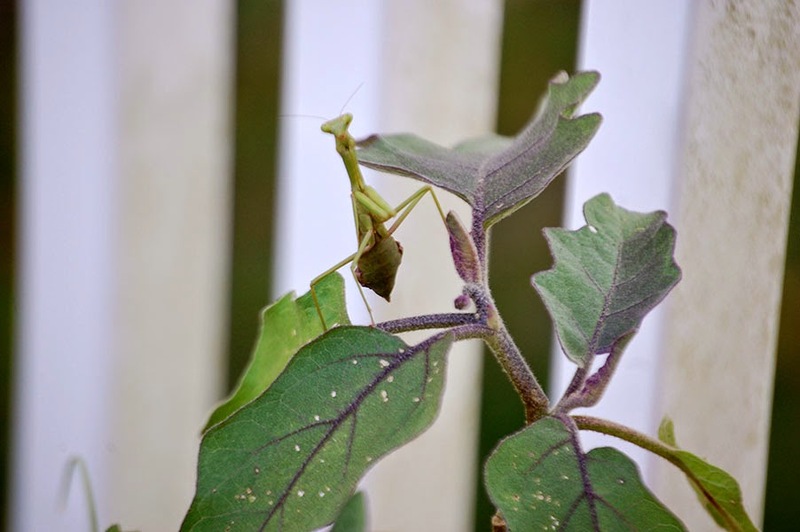 Green LIONS Garden Group: Don’t Bug Me! Or Do? Don’t Bug Me! Or Do? The students of the Green LIONS Garden Group were busy, busy, busy at our last meeting. 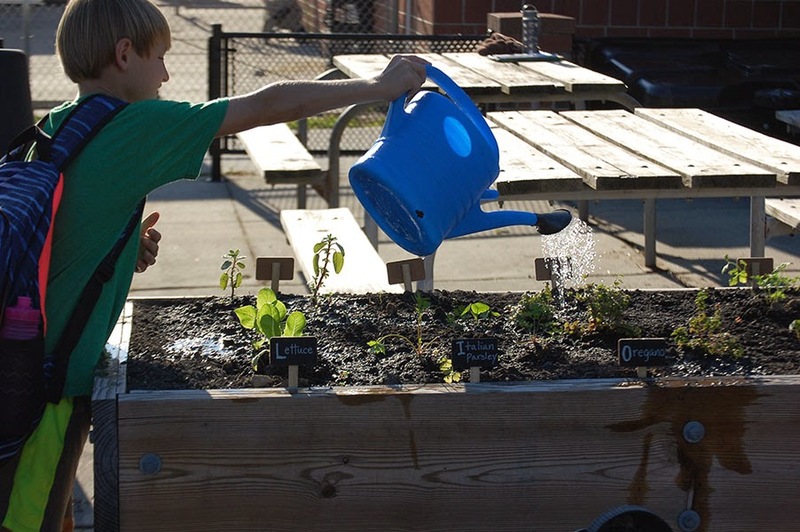 Now that our fall garden is planted and thriving lessons were learned on how to help the plants along. Think water, sun, healthy soil, and tender loving care. Group members divided up into six teams for various garden maintenance tasks. Our Thirst Quenchers watered the garden both with watering cans filled from the rain barrel or through water buckets using re-purposed plastic container “rain makers”. The Tree Tenders watered and noted the health conditions of our six garden area fruit trees. 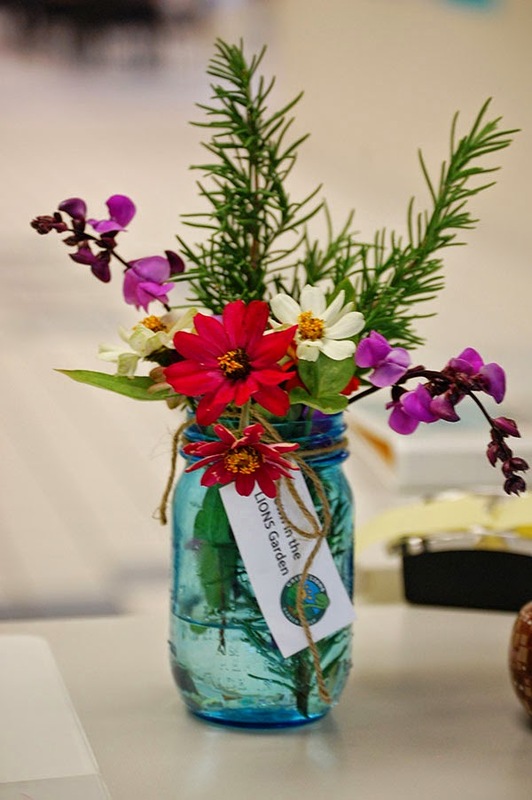 The Beautification Committee cleaned up any trash found in the garden area and also cut fresh flowers and herbs for a school front desk bouquet. Garden Data Sleuths noted the temperature of the day, the rainfall inches for the week, the weather conditions, and the current moon phase. Sleuths also chose two different kale plants in two different beds to serve as sample plants. These sample plants will be measured weekly to chart their growth. It will be interesting to see if bed placement and sun exposure make any difference in the plant’s individual growth rate. The Weed Hunters & Gatherers did just what their name implies. And finally, the Bug Detectives looked for cabbage moth eggs and cabbage worms on our Cole crops. Speaking of Bugs, we also got to know garden bugs up close and personal. Which bugs do we want in our garden? Which bugs would we not like to see? It is important to know the difference. If we want to grow our plants without the use of chemical pesticides we need to learn how to address a pest infestation. There are many factors to consider. If there are pests present, like aphids, cabbage worms, or stink bugs there can be cause for alarm. But if we also see beneficial insects like ladybugs, praying mantises, or assassin bugs we should consider stepping back and letting nature take its course. 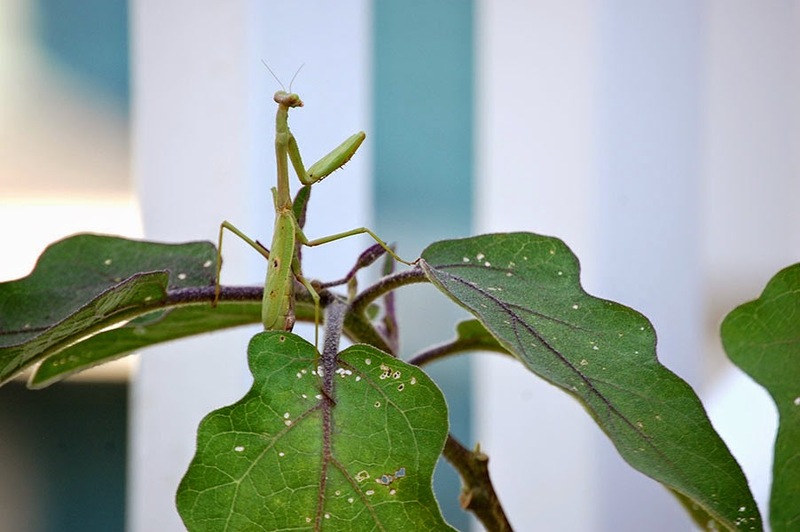 Beneficial insects will often take care of keeping pests under control by including them in their diets. Sometimes keeping some unwanted insects around for the beneficial insects to eat is helpful. If we target a pest without investigating what conditions made it enticing for them to appear then we are missing a valuable opportunity to encourage a healthy garden. Just as we are more likely to contract a cold or other illness when our bodies are stressed, it is typically indicative of a plant’s compromised health if many pests are present. A proactive gardener looks for clues in the plants and the soil to help boost the immunity of the plants and hopefully rectify any pest problems. If we choose dominating control in the garden when dealing with unwanted pests, like using pesticides (even natural and organic ones) we risk hurting beneficials too. 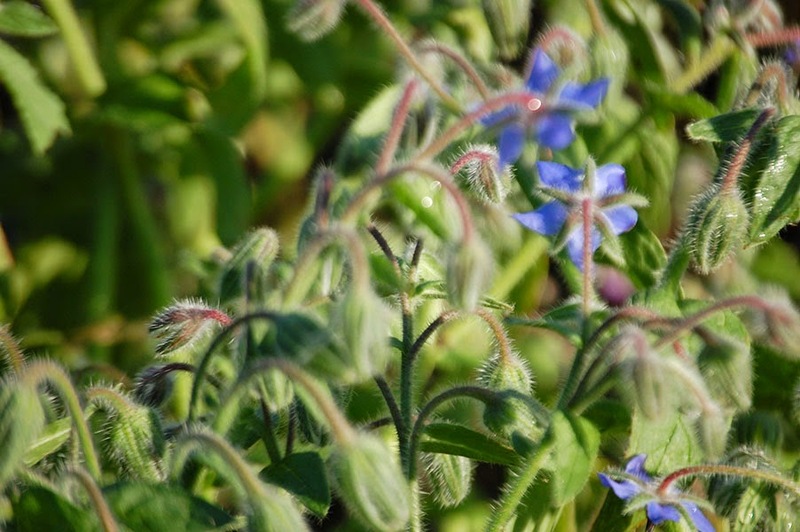 Plant a varied garden and leave some wild spaces to attract beneficials to your garden. Weeds can be accurate clues to determine what is going on in the often confusing and mysterious soil ecology of your garden. 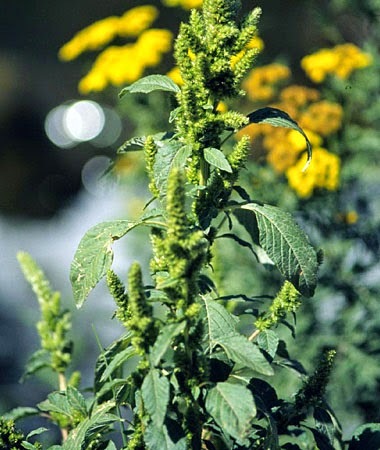 Certain weeds like to grow in certain soil environments. Some weeds grow when soil is compact and over-saturated. Growing a cover crop and adding some rich compost can help break up compacted soil. Some weeds indicate a need for more nitrogen or can even indicate that all is well and your soil is fertile and well-tilled. Weeds dig down deep to pull up rich minerals to the soil’s surface. Leaving weeds in for a bit can be helpful to add these minerals to your garden environment. Just be sure to pull weeds out before they go to seed and spread. 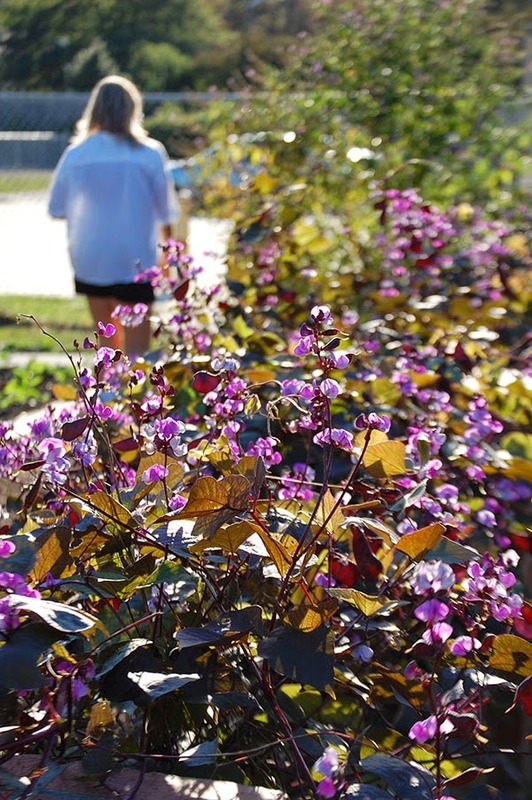 Students learned even more about a specific benefit some garden visitors provide—Pollination. We observed the flowers in our garden area to determine which ones would most likely attract bee pollinators and butterfly or moth pollinators. Bees like sweet scents, shallow landing pads, blue, white or yellow flowers, and a short, tubular opening to access the flower’s nectar. Butterflies and moths like a light scent, vibrant colors, and a large landing pad on a flower or clusters of blossoms that serve the same purpose. While we don’t have any long, tubular flowers in the LIONS Garden, we learned that hummingbird pollinators prefer them. 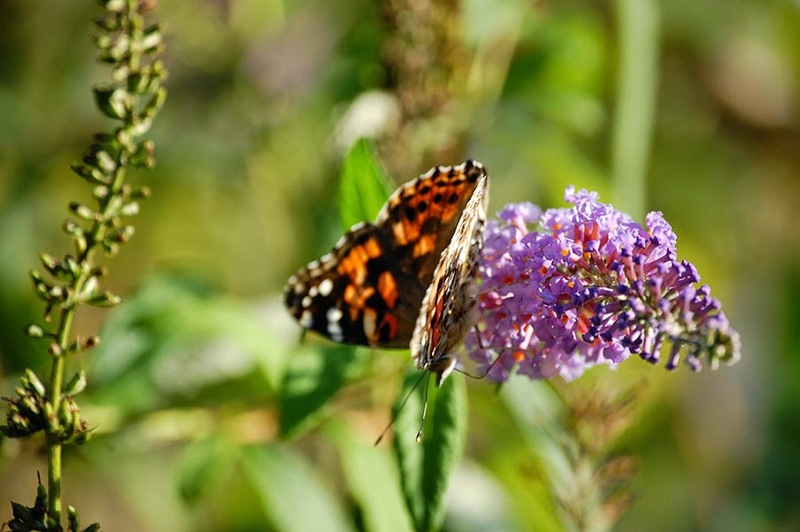 Keeping many varieties of flowers and nectar sources in a garden attracts pollinators that will also find the flowers on your vegetable and fruit plants. We can’t grow our vegetables and fruits without them! New Students, New Plants, New Garden!